Biorepair was created in 2006, a toothpaste based on the patented microRepair® technology, from the collaboration between the Coswell research laboratories and Professor Roveri from the LEBSC (the Laboratory of Environmental and Biological Chemical Structures). The LEBSC has been working for over 30 years in the “G. Ciamician” Chemistry Department of the University of Bologna, using the most advanced chemical and physical techniques to study the chemical and biological features of the mineralisation processes of calcified tissues, bones in particular. MicroRepair® is zinc-substituted-carbonate-hydroxyapatite crystals. MicroRepair® particles are created in the lab through an innovative synthesis process achieved by controlling the micrometic aggregation of nanometric crystals. The composition of these micro-particles is very similar to the composition of tooth enamel. This similarity gives microRepair® a biomimetic property, allowing the micro-particles to integrate permanently with tooth enamel and dentine, no matter the condition of the mouth, thus repairing enamel and dentine evenly and naturally. Thanks to the presence of free and negative phosphate and calcium ions, the hydroxyapatite in the microRepair® can interact with the hydroxyapatite of the teeth and bind permanently. 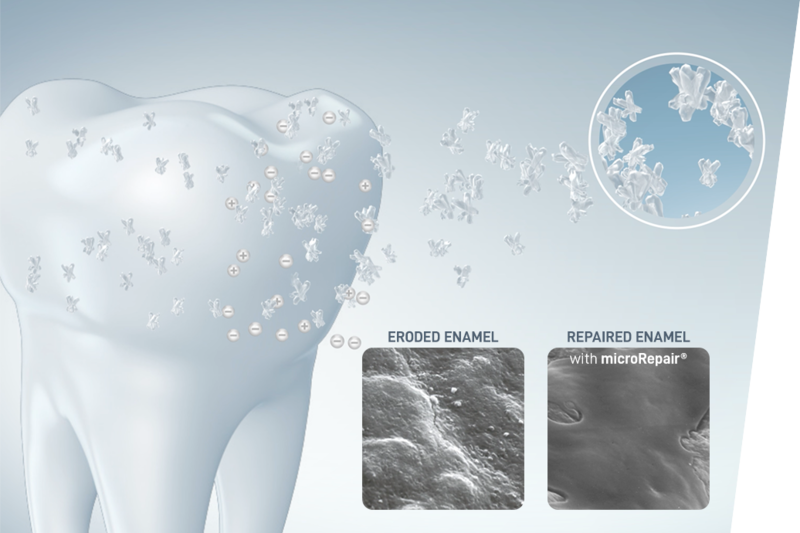 The microRepair® particles form an even coating on the tooth surface, penetrating cracks in the enamel and chemically binding to it, thus repairing and remineralising them. 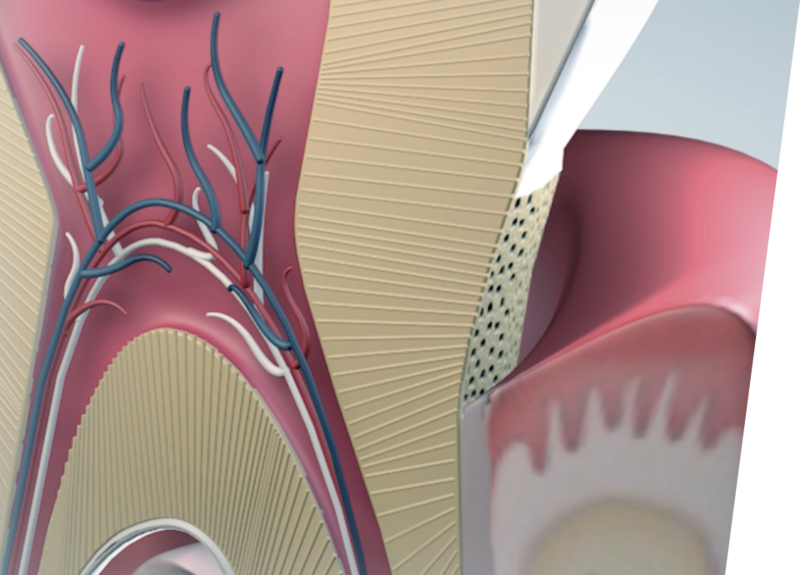 Clinical tests have shown that microRepair® deposits 50% more enamel on the tooth surface. In doing so, it creates a coating that protects the enamel and teeth from the bacterial biofilm caused by plaque and tartar build-up that leads to cavities and gingivitis. The bacteria in the biofilm feed off of sugar and lower the pH of the mouth, creating an acidic environment that is corrosive to enamel. As the pH of the mouth lowers, microRepair® frees antibacterial zinc ions, which combine with the saliva to restore the pH of the mouth to an alkaline level. This reduces the growth of bacteria, such as Streptococcus Mutans, one of the main types responsible for cavities. microRepair® particles have additional effects, such as absorbing the sulphur compounds responsible for bad breath. The daily use of Biorepair® effectively fights the problem of bad breath thanks to the absorbent properties of the microRepair® particles. Fluorine, used for years in oral hygiene, strengthens the tooth enamel and hardens it by preventing the reaction with acidic substances. Biorepair® has a superior re-mineralizing effect superior than toothpaste with fluoride, whose remineralizing and antibacterial action is achieved only under certain conditions (for example, specific temperatures and pH levels inside the oral cavity). 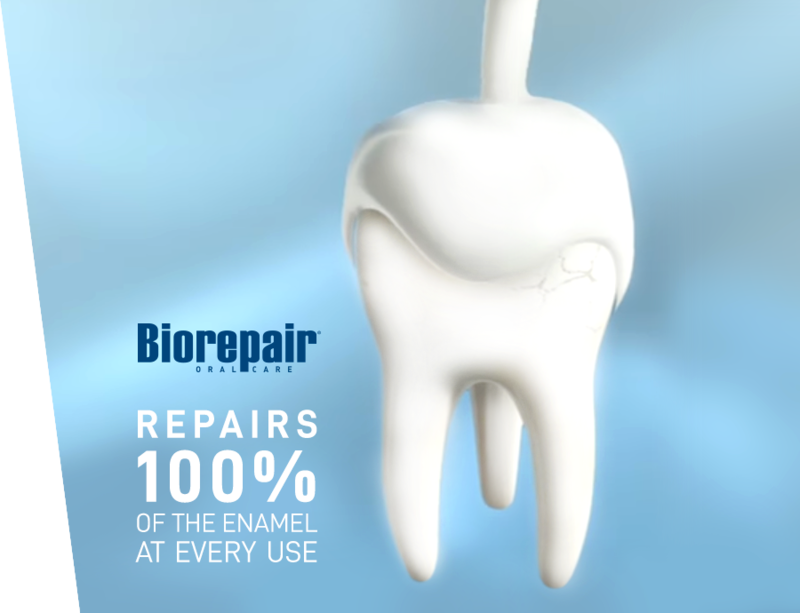 In-vitro tests on enamel erosion show that Biorepair is twice as effective as normal fluoride toothpaste, as the microRepair® is deposited on the enamel and forms a layer of hydroxyapatite that provides effective, long-lasting protection against acid attacks. Over the years, the scientific community has highlighted the consequences and risks that can arise from the excessive intake of fluoride, e.g. fluorosis. This innovative, gentle and completely fluoride-free formula from Biorepair® is safe and means it can be used by children under the age of 6, even without adult supervision.